Houghton Butchers 6x9cm Plate Cameo. Photograph gallery. 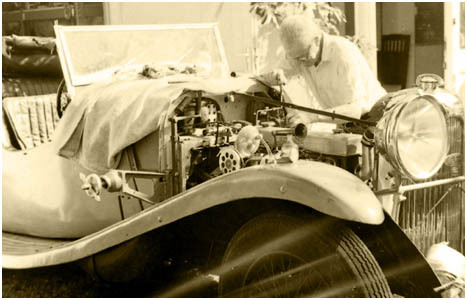 This Lagonda once lapped the famous Brooklands circuit at over 100mph, back in the 1930s. It is seen here after being pushed out into the sunlight for the first time in many years, hopefully to run once more. The Cameo has allowed light to enter on this occasion.. hence the streaks. 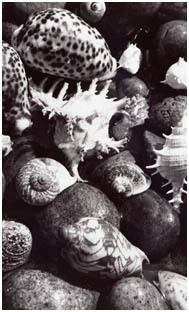 Shells from the Vietnamese Island of Phu Quoc was taken on a tripod using the ground glass screen and about one and a half extension of the bellows. Hawker Hind at The Shuttleworth Collection in 2006 with a 'Hucks' starter hooked up to the propeller. 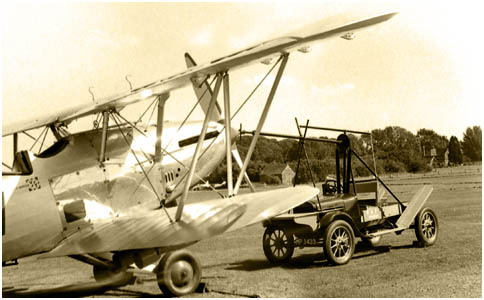 The first Hawker Hind aircraft didn't fly until 1934, so the Cameo predates it slightly. We like to try and find subject material that is timeless or contemporary with the various cameras, a near on impossible task, but it makes for an extra dimension to the challenge of using these old cameras. Not concentrating enough on the waist level finder, caused this somewhat drunken horizon. 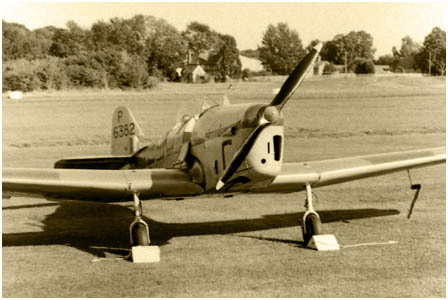 The Shuttleworth Collection includes this Miles Magister, a primary trainer used throughout the Second World War. One of just two or three airworthy example, I was extremely lucky to be able to fly in this aeroplane back in 2001. As luck would have it, no camera to record the event.